We were called on to do a setup and refelt of this eight foot Beach Manufacturing pool table the other day in North Tustin,CA. Our customer had added on about 600 square feet over his garage to create this spacious new game room. 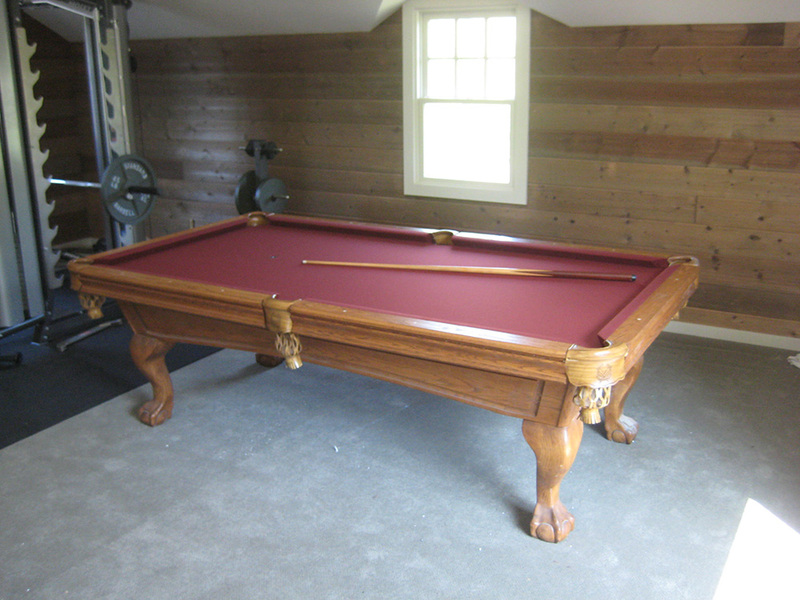 The pool table had been previously disassembled and stored for a number of years. Luckily, all the important pieces to the table were there. We ended up only missing a few rail bolts. The pool table looks great with the new Mahogany colored felt!